The Pritzker School of Law. 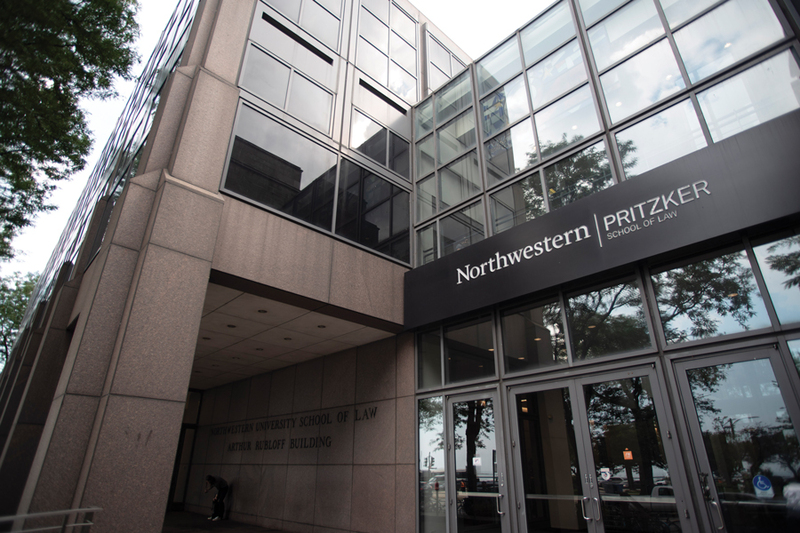 Entering students with full-time employment for at least one year before studying at the Pritzker School of Law dropped to 88 percent this year from 98 percent in 2009. The percentage of students who work before attending law school has begun to level off after a decline from its recession-era peak. Incoming students with at least one year of full-time employment prior to enrolling in the Pritzker School of Law rose two points from last year to 88 percent. The new data suggests the figure is beginning to stabilize after its decline from 98 percent in 2009. The School of Law takes pride in its “distinctive identity,” in which most of its students have past work experience, Rebstock said. After the school conducted studies and consulted employers in 1996 — back when 66 percent of students had work experience — School of Law administrators began focusing on accepting applicants with prior full-time employment, he said. Northwestern’s preference creates a culture where professors don’t have to “babysit” students, said alumna Haley Madel (School of Law ’18). Because law is often rooted in logical reasoning, Madel — who worked as a paralegal in Atlanta before law school — said students’ professional backgrounds give them distinctive insights. “It was really important to my law experience that everybody had these different perspectives because it gave me a chance to realize that the perspective of the person we’re talking about (in a case) differs wildly,” she said. Henry Molnar, president of pre-law fraternity Phi Alpha Delta, said he plans to work before applying to law school to demonstrate his “sincere, established career goals” to admissions offices. “If you just come straight out of Northwestern with a degree in political science and apply, it’s not going to look as good as if you spent a couple of years working at a law firm in corporate law or criminal prosecution,” the Weinberg junior said. The leveling off follows a peak in the midst of the Great Recession, when many unemployed workers who lost their jobs applied to law school after struggling in a tough labor market. Although work experience can help some decide whether they want to apply to law schools, those who have goals and outcomes in mind as undergraduates sometimes head directly to law school, said Lynn Page, pre-law adviser and assistant director at Northwestern Career Advancement. As the effects of the recession continue to fade and the economy regains strength, she said she expects more students to go directly to law school.